Since 1983, the Pankhurst family has been involved in bookstores commencing with a site in a Dubbo shopping mall. 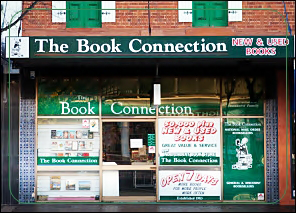 In 1990 we purchased The Book Connection mail order business and shortly afterwards moved to a larger new site, merging the two operations into a main street store. Our two sons were substantially involved over much of that time. We are now a large independent store with over 50,000 new and used titles in stock. We have been fortunate to have had the support of long term staff who have contributed to the level of service and knowledge that customers appreciate, across many tastes, literary to technical. Being located in the central west of NSW farming area, we are recognised as stockists of unusual bookstore subjects such as agriculture, horticulture, natural science, various trades and engineering.